Farmer, MLA (1933-1936), MLA (1937-1940), MLA (1941-1945), MLA (1946-1949), MLA (1950-1953). Born at Glenboro on 9 June 1891, son of James Christie and Annie Ferguson, he was educated at Glenboro School. During the First World War, he served from 1916 to 1918 with the Motor Machine Gun Corps in France. He was once wounded during the Arras-Cambrai (push) drive. He was Provincial Director of the Manitoba Livestock Producers Limited. 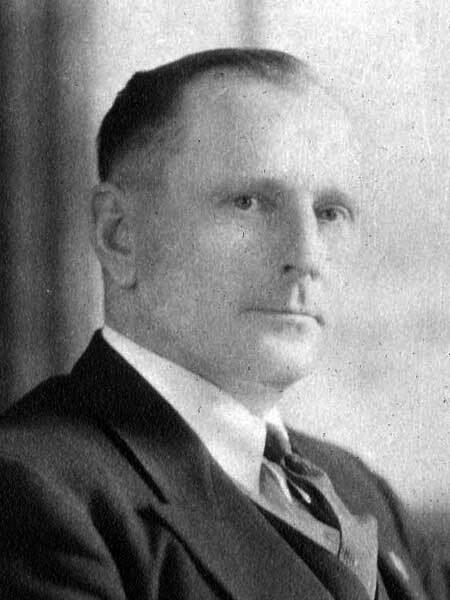 He was first elected to the Manitoba Legislature at the 1932 general election, for the Liberal-Progressive Party, defeating incumbent W. H. Spinks. He was re-elected in 1936, 1941, 1945, and 1949. He served as Liberal party whip for 13 years. In 1949 he was made Chairman of the Select Standing Committee on Municipal Affairs and he served for three years on the Committee on Agriculture and Immigration. He was a member of the IOOF, Masons, and Glenboro United Church. While still in political office, he died unmarried at Glenboro on 19 January 1953 and was buried in the Glenboro Cemetery. “Liberal MLA dies at 61, whip 13 years,” Winnipeg Free Press, 19 January 1953. Obituary, Winnipeg Free Press, 21 January 1953.